The two-day mutual evaluation process by the APG, which started Monday, is separate from an FATF review but will examine Islamabad’s compliance with 40 recommendations made by the global task force. According to APG, this is its second mutual evaluation for Pakistan in the last ten years. Signalling more international pressure for Pakistan, the Asia/Pacific Group (APG) has expressed displeasure over Islamabad’s lack of compliance with global anti-money laundering and counter-terrorism financing norms, The Indian Express has learnt. The APG is an inter-governmental organisation modelled on the lines of the Financial Action Task Force (FATF), which decided in January to keep Pakistan on its “grey list” for having made only “limited progress” in curbing money laundering and terrorism. Described as FATF Style Regional Bodies (FSRBs), APG covers 41 jurisdictions, including India and Pakistan. The two-day mutual evaluation process by the APG, which started Monday, is separate from an FATF review but will examine Islamabad’s compliance with 40 recommendations made by the global task force. Sources said the APG committee visiting Pakistan comprises six members, including from the US, China, the UK, Turkey, Indonesia and the Maldives. According to APG, this is its second mutual evaluation for Pakistan in the last ten years. The organisation will submit its report after the ongoing on-site evaluation to FATF, which is expected to take it up in October. 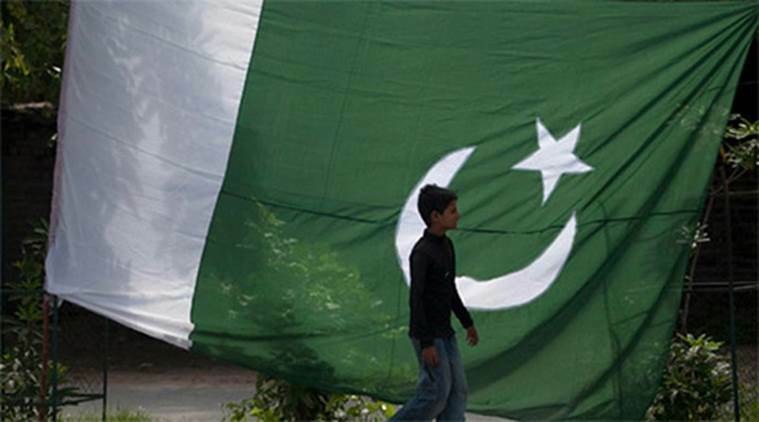 A non-compliance report from APG could push Pakistan further into a corner, sources said, adding that the country has failed to comply with 28 out of the 40 FATF recommendations. Sources said that if Pakistan fails to comply with “at least 10-12” of the 40 FATF recommendations, it faces sanctions by international monetary bodies. In that case, they said, Pakistan faces the risk of being downgraded by multilateral lenders like the IMF, World Bank, ADB, etc. It may also be subject to a downgrade in risk rating by agencies such as Moodys, S&P and Fitch, sources said. Among the 40 FATF recommendations, Islamabad is said to be either fully or partially compliant with only eight, sources said. During the FATF review earlier, Pakistan had submitted a 26-point action plan in June 2018 to the task force and committed to implementing it over the next 15 months. The action plan included a squeeze on the finances of terror outfits such as the Jamaat-ud Dawa, Falah-i-Insaniyat, Lashkar-e-Taiba, Jaish-e-Mohammad, Haqqani Network and the Afghan Taliban.